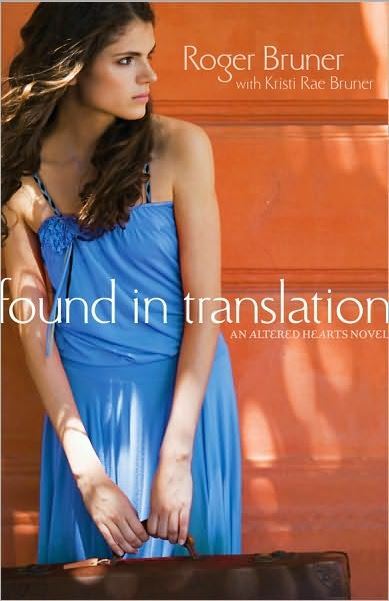 I am currently reading a book called Found in Translation, written by Roger and Kristi Rae Bruner. The story begins with an eighteen-year-old girl named Kim, a girl who’s off on a missions trip – one she thinks is to a regular, medium-sized town with all the amenities. If you had asked her how difficult she thought the trip would be, she probably would have brushed off the question saying it wouldn’t be to much of a stretch; but when she finds out where she’s really headed, her world flips upside down. Arriving late to meet the senior project director after missing her initial flight, Kim finds herself lost in a meeting where talk about sleeping bags and construction take her by surprise. It turns out the trip had been changed – and apparently she didn’t get the email. The group was now going to rebuild houses after disaster struck a remote village in Mexico. No plumbing. No electricity. No where to plug in her hair dryer. Feeling like an outsider in her brand-name clothes, she realizes she’s completely out of her comfort zone – but how can she turn back when she’s already come this far, and what will people think if she does? Today we researched the herbs we chose to see if we could find specific recipes for them that the First Nations used. We found a few general things but weren’t too successful. We have started our new inquiry! Our question is: Can we make a herbal medicine the First Nations used? We started researching herbs that the First Nations people used last week and today we chose six herbs we want to try to get and grow to use. We looked on craigslist and various other sites on the internet in order to find them, and were able to locate some we might be able to get. Our plan is to get herbs that are already started (not seeds) so they will be ready in time to use. Starting with a long list, we narrowed our choices down by eliminating those we that didn’t seem as easy to obtain. The herbs we chose are horsetail, labrador, dandelion, pipsissewa, trillium, and echinacea. My partner said she can bring in some horsetail and dandelion from her yard, and hopefully we will soon be on our way to starting a mini herb factory! I’m looking forward to getting the plants and experimenting with their medicinal properties. How can the Constitutional Act of 1791 and subsequent amendments be revised so they better fit the needs of Quebec / English Canada today? On Thursday we checked on the progress of making sclerotia and transferred the filter paper from nutrient agar to empty petri dishes. Yesterday we practiced our presentation and presented our project.